Forget waiting 45 minutes for the delivery guy to show up. 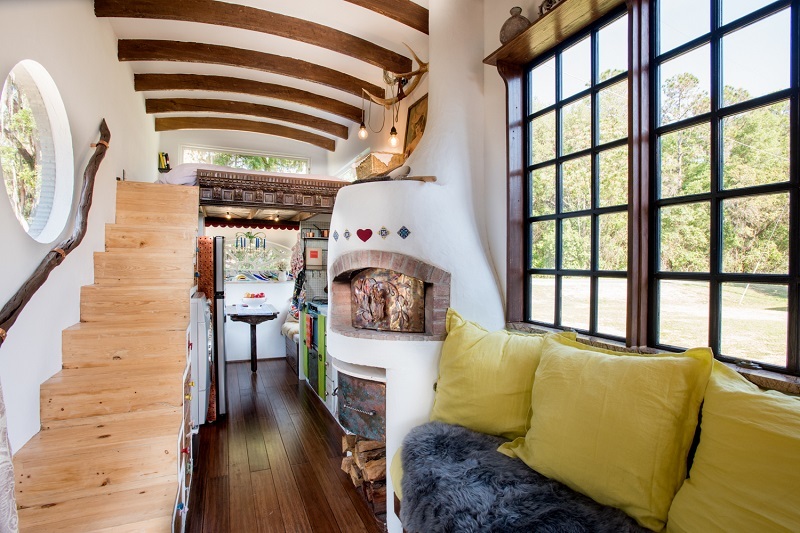 In this custom tiny home, pizzas are ready in just two minutes! 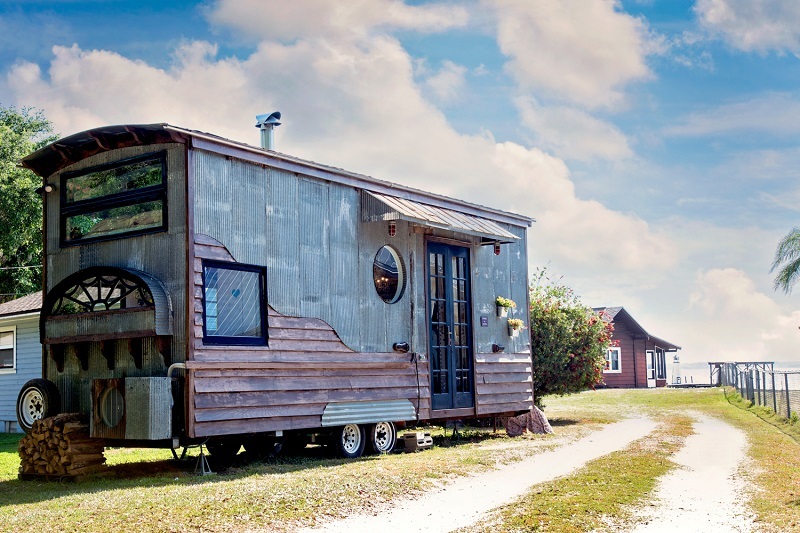 Empty nesters looking to avoid the burden of a big mortgage, Robert and Rebekah Sofia embarked on a 20-month journey designing and building a 221-square-foot home in Ocklawaha, FL. 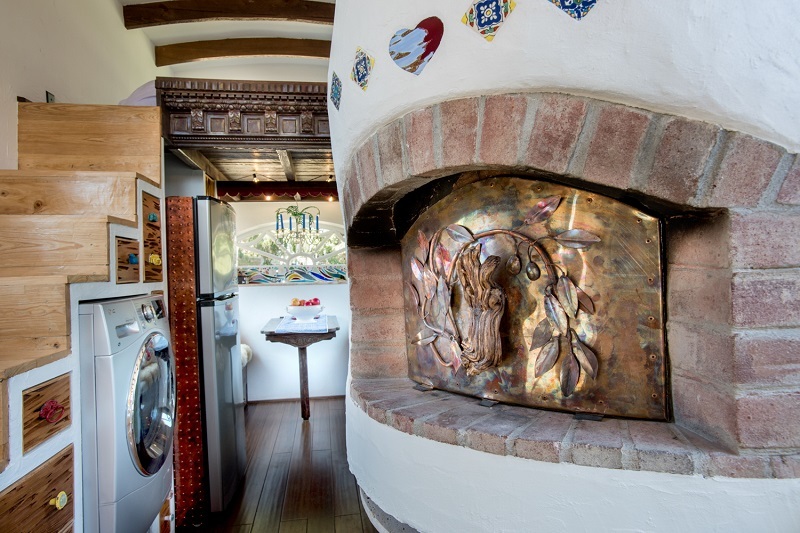 Most people would balk at the idea of putting a 800-degree wood-fired pizza oven in such a small space. But with layers of plaster, cement and a heavy metal door, it’s completely insulated. The Floridians were passionate about bringing a European flavor to their design and using recycled building materials. From the exterior corrugated metal to the cedar planks and doors – everything had a prior life. Best of all: The materials only cost $15,000. 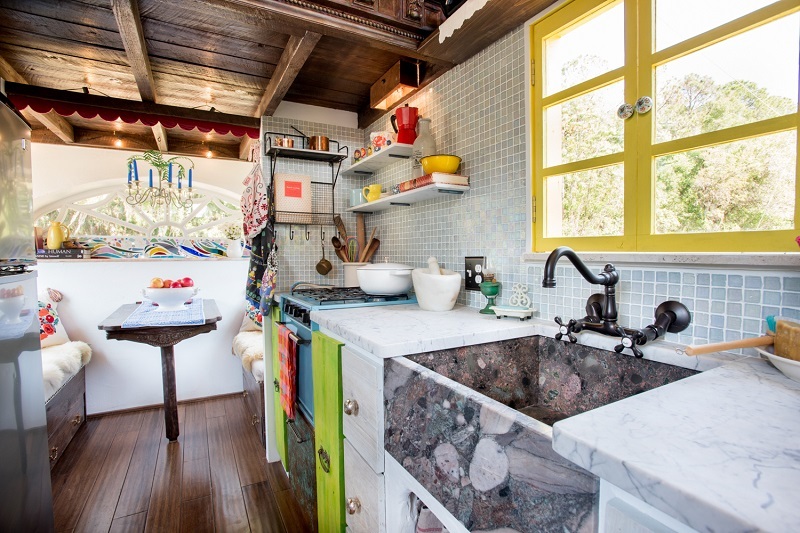 In addition to the pizza oven, there are amenities you might not expect in a tiny house: a big apron sink, outdoor soaking tub, formal dining room with a chandelier, a hangout music loft and his-and-hers closets. 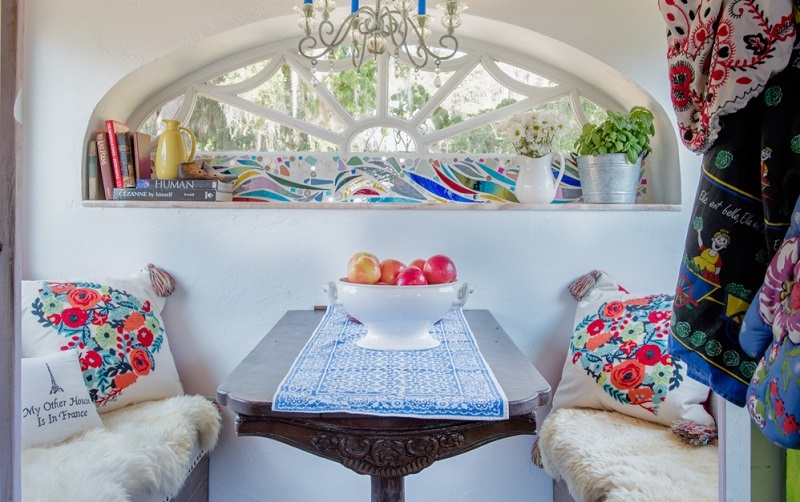 The post This Tiny Home Has Its Own Pizza Oven – House of the Week appeared first on Zillow Porchlight.